Research Journal of Nervous System | Focus Scope. 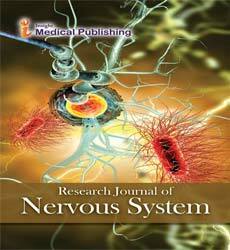 Research Journal of Nervous System is an international peer-reviewed, open access journal that provides rapid publication of articles in all areas of Nervous System. Subject areas suitable for publication include, but are not limited to the following fields: Peripheral Nervous System, Nervous Impulse, Spinal Cord, Cerebral hemisphere, Hypothalamus, Brainstem, Brain Tumors, Clinical Neurophysiology, Meningiomas, Neurological Surgery, Neurology, Neurosurgery, Neurosonography, Parkinsonism, Cranial Nerves, Cerebrovascular Disease, Vascular Dementia, Cognitive Behavioral Therapy, Cognitive Psychology, Neuroregeneration, etc..